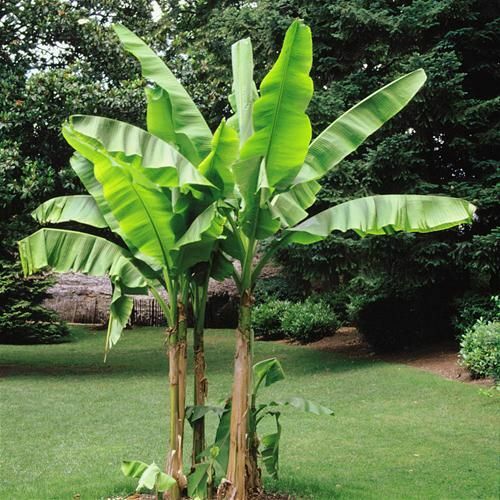 In scriptures, banana plant is very auspicious after basil plant. It relates with Jupiter. There is a tradition of making banana mandap and toran in auspicious work. Banana leaf is used in god work or for god. Jupiter can be strengthened by wearing root of banana tree in yellow thread. Planting banana tree in home solves every problem of Jupiter. Children always remain blessed. One cannot get problems in marital life. It protects from fierce diseases. Worshiping banana plant strengthens the financial position. It is beneficial to get rid of children related problems. Unmarried women easily get marry. Women’s marital life improves. It gives success in higher education and knowledge. Wear yellow color clothes after bathing on Thursday. Pour water in banana plants and take 9 circles of banana plants. Keep jaggery and chain ki daal in front of banana plant. Chant Jupiter psalm “Om Brum Bruhaspataye Namah” or Shri Hari Vishnu’s psalm “Om Vishnu Namah or Om Namo Narayna”. You can also read Visnusahastranam. Eat dainty and also feed to others. Donate banana on Thursday to get rid of Jupiter related problems. Do not eat banana when you donate it. Eat banana in morning if Jupiter is weak. Eat raw banana if obesity increase due to Jupiter. Offer banana garland to Ganesha. Eat banana after it. It is beneficial to get rid of children related problem. Never plant banana tree on front gate or in the middle of the home. Always, keep banana tree behind the home. Good Luck: One should visit any religious place on Thursday. Do worship over there. It is beneficial.